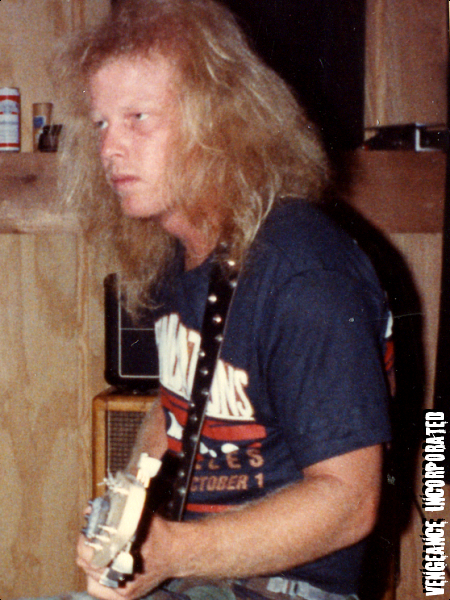 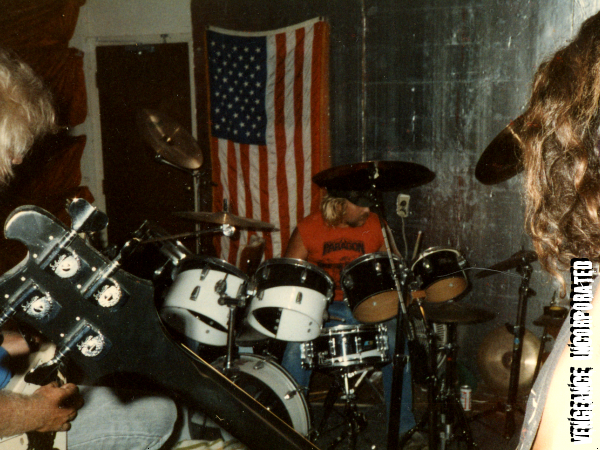 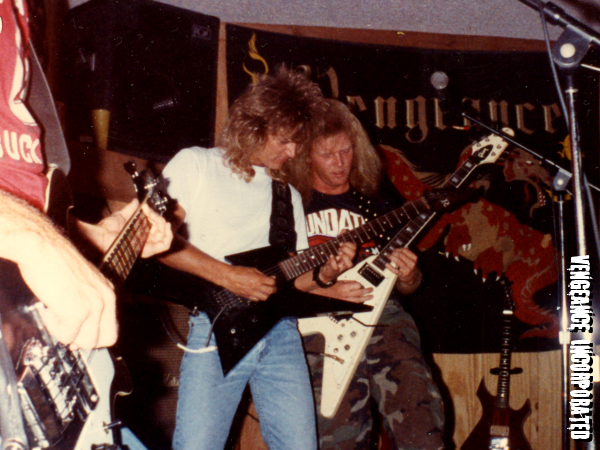 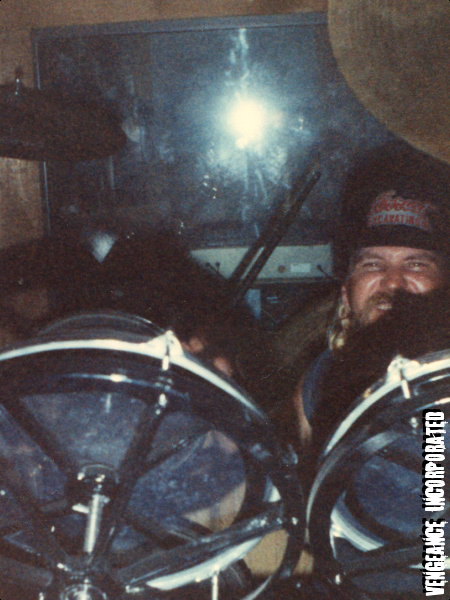 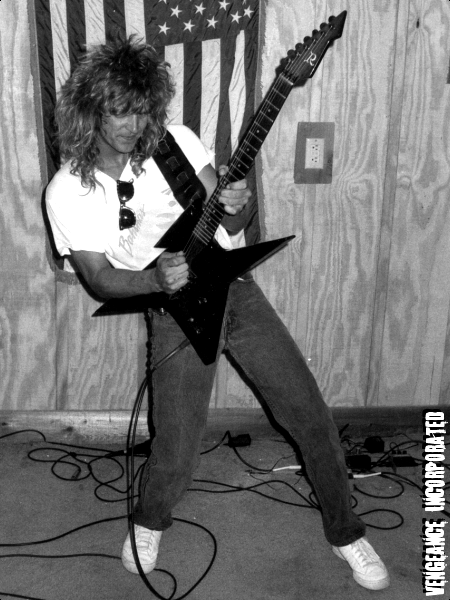 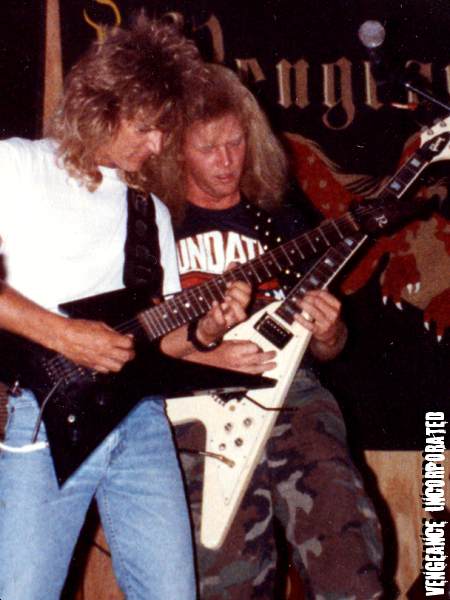 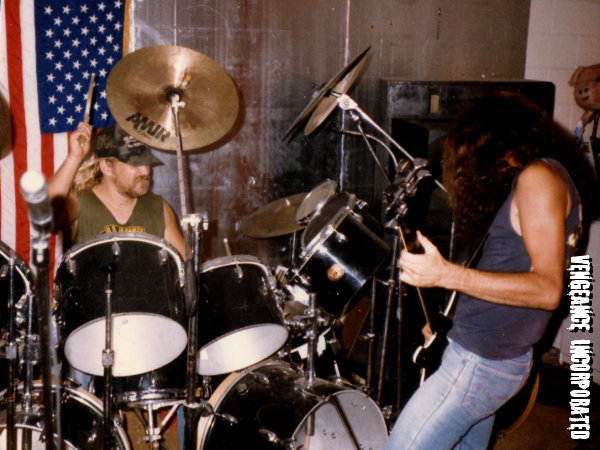 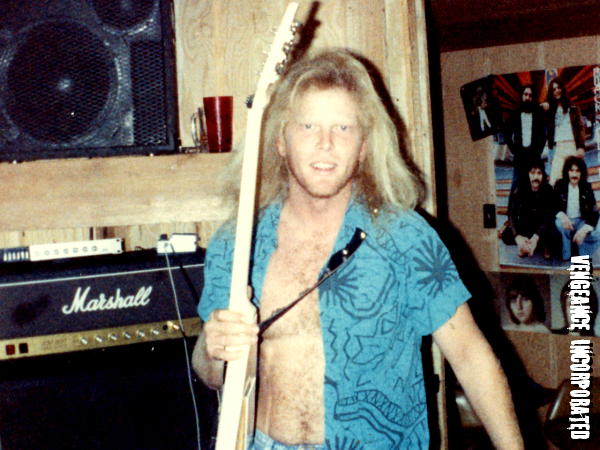 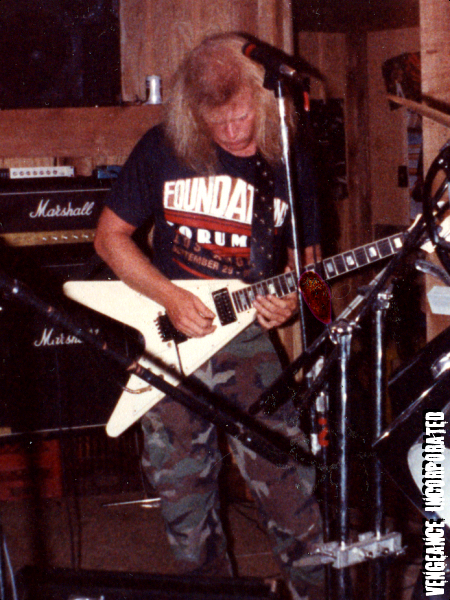 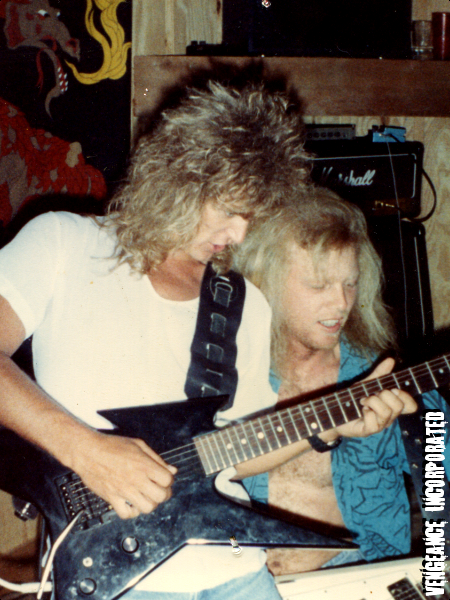 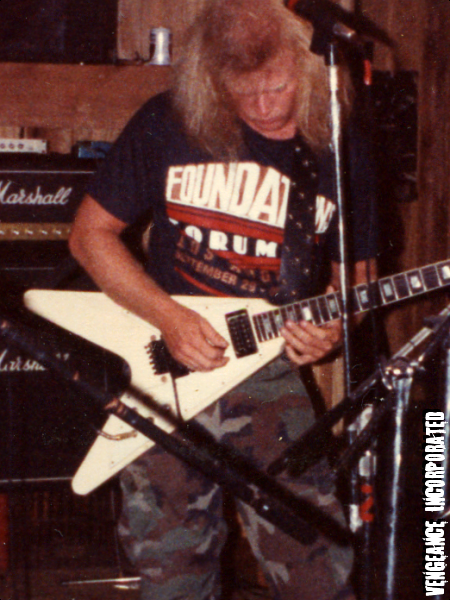 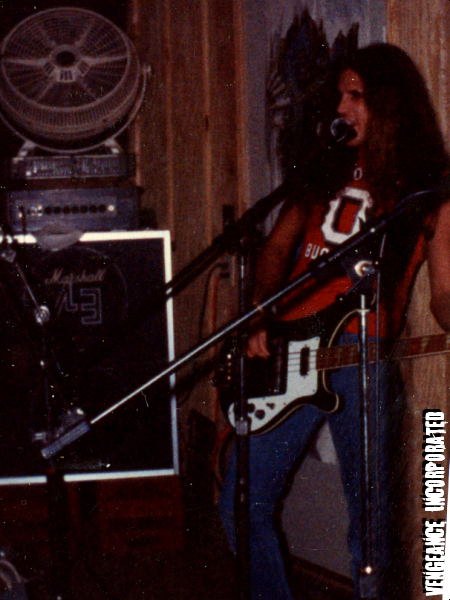 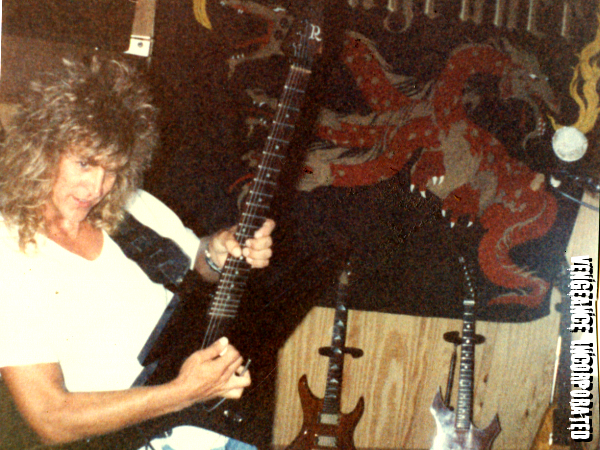 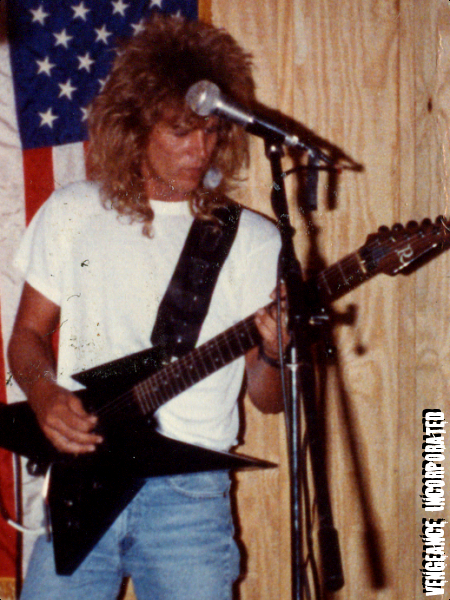 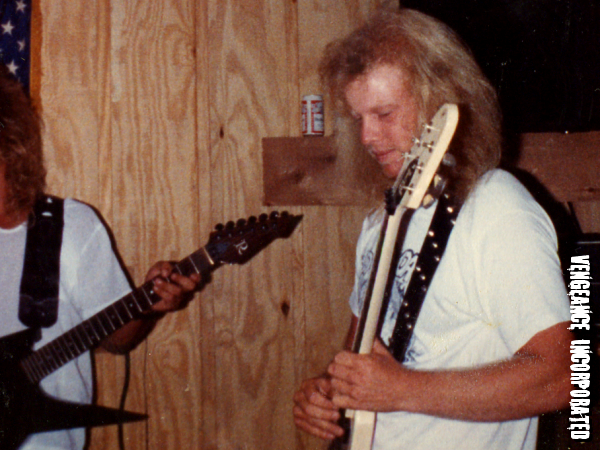 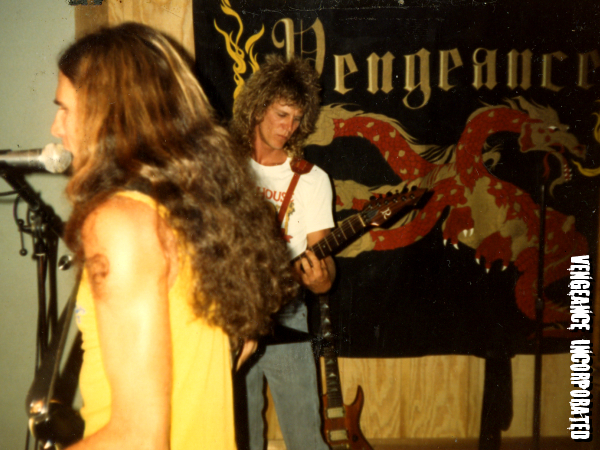 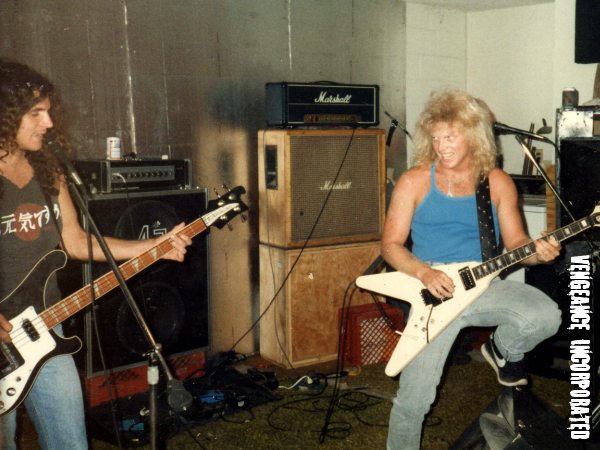 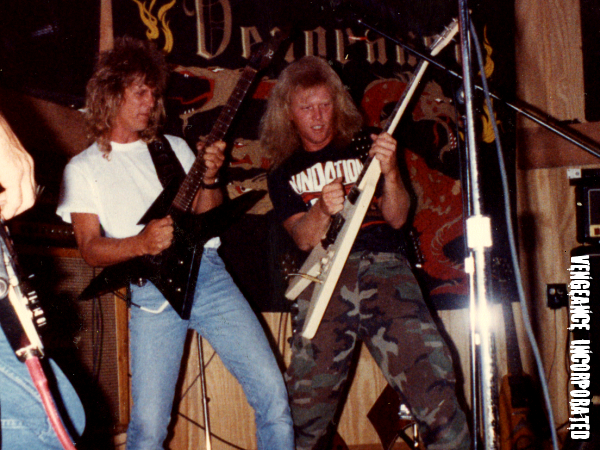 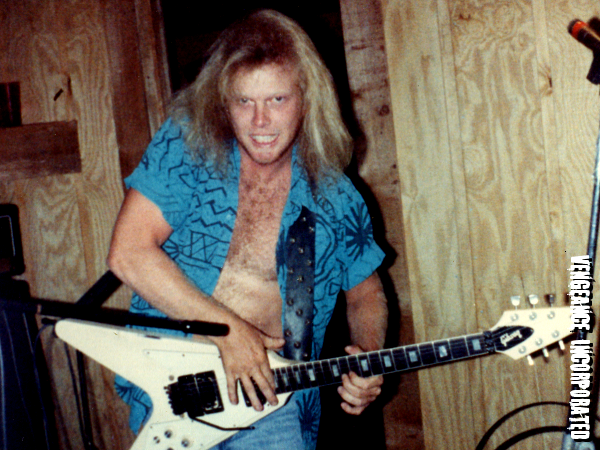 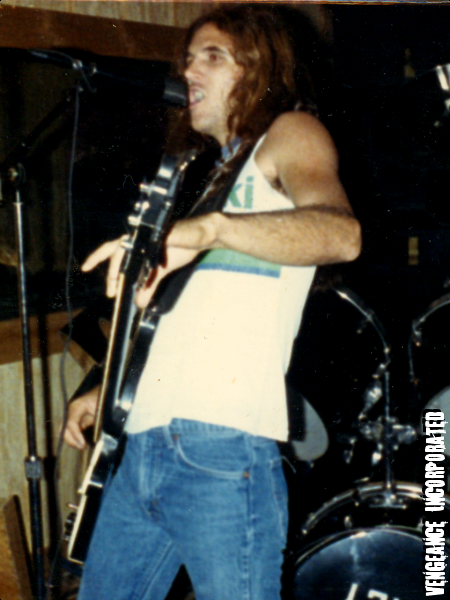 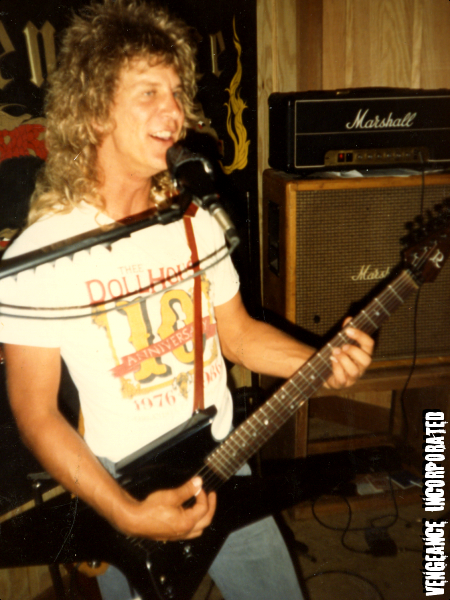 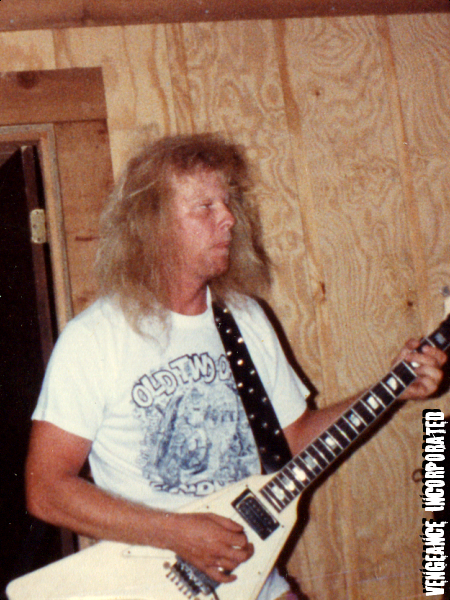 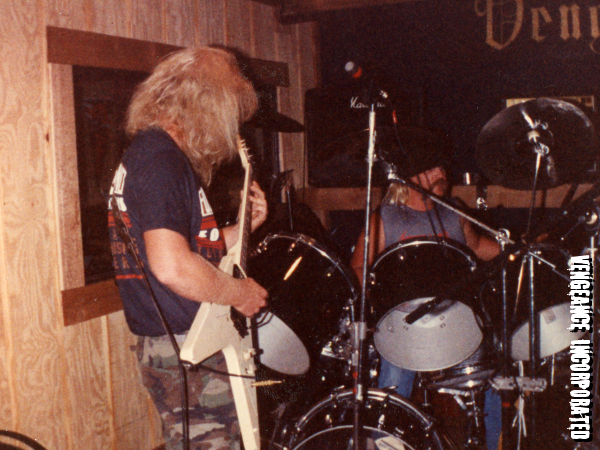 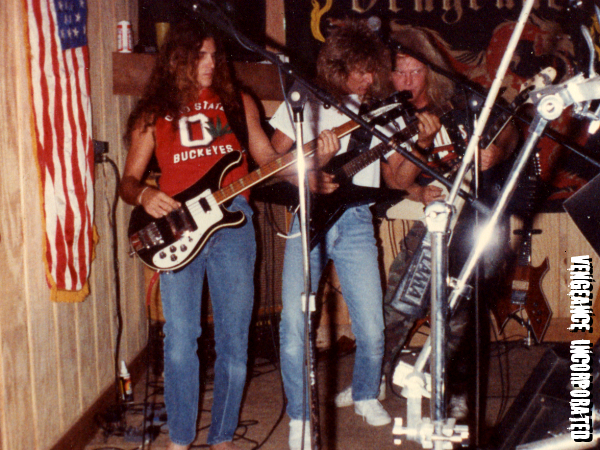 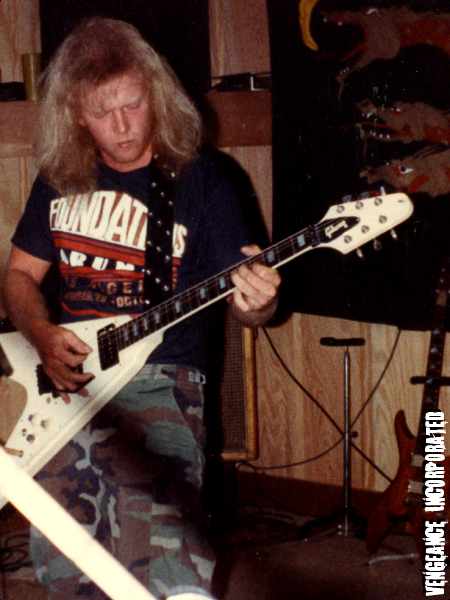 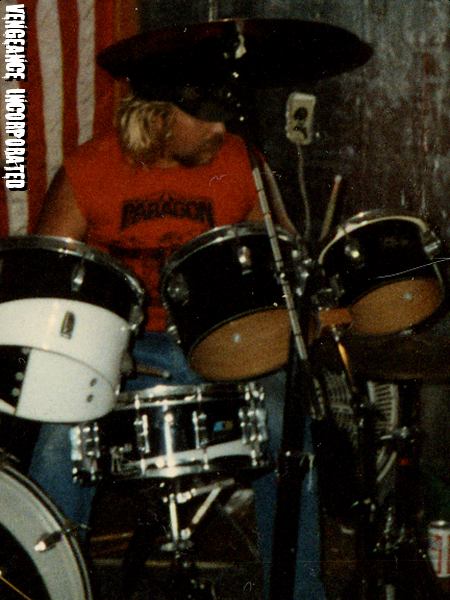 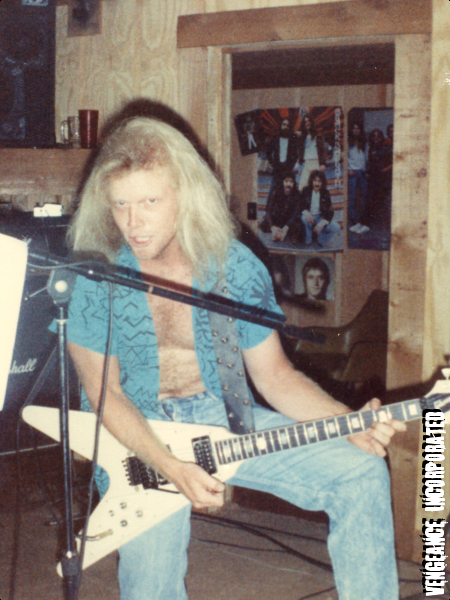 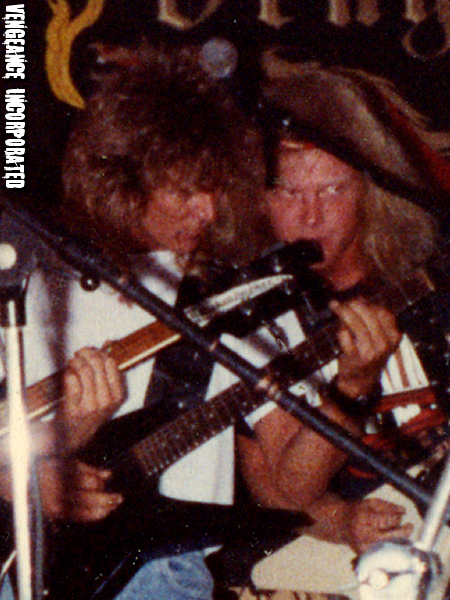 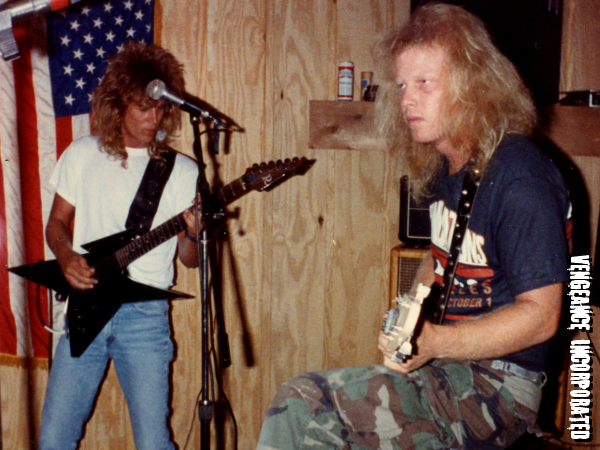 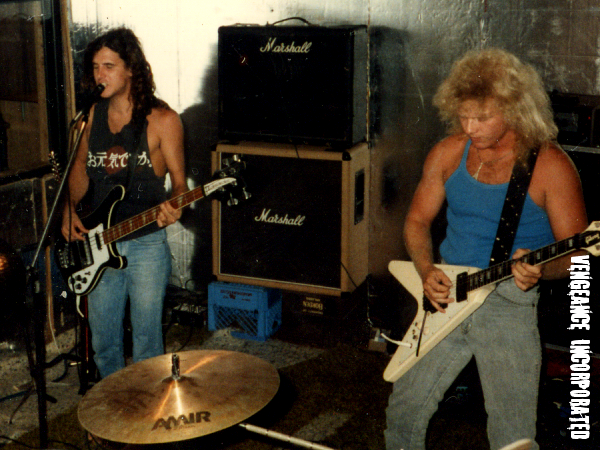 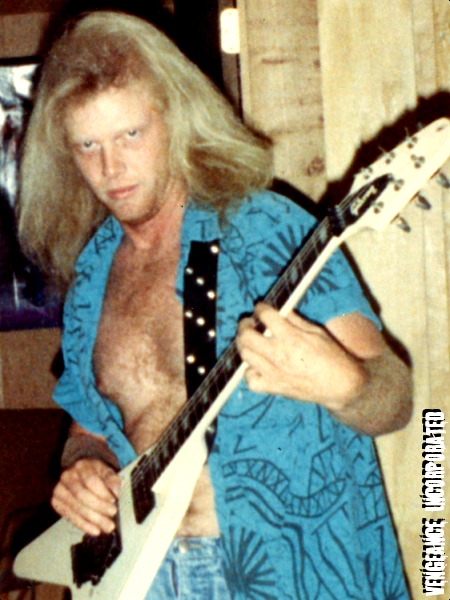 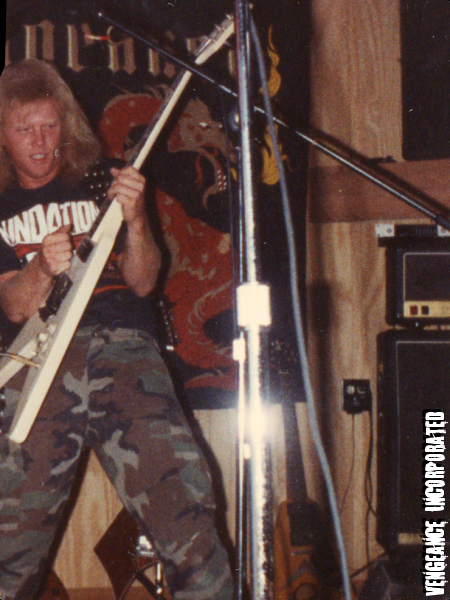 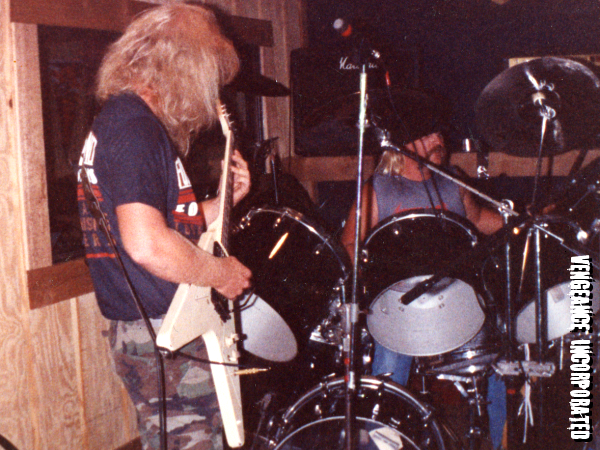 The foil walls are from the band’s original rehearsal studio, where the band recorded their first project Predator. 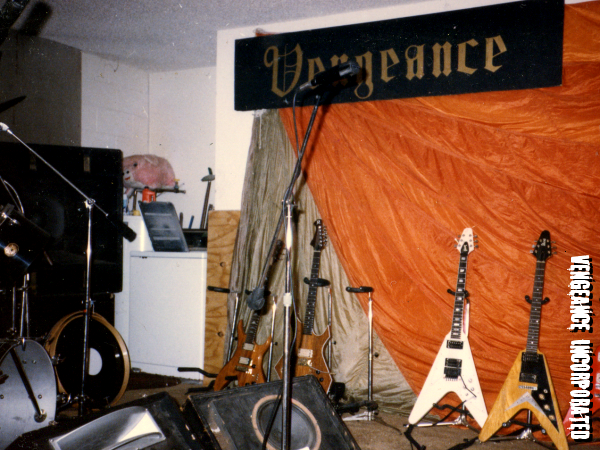 Later photos were taken at Fabulous E.G. 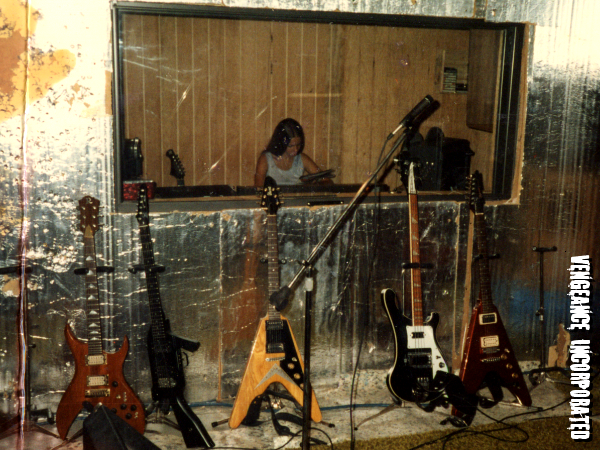 Studios, recognizable by the wood paneled walls. 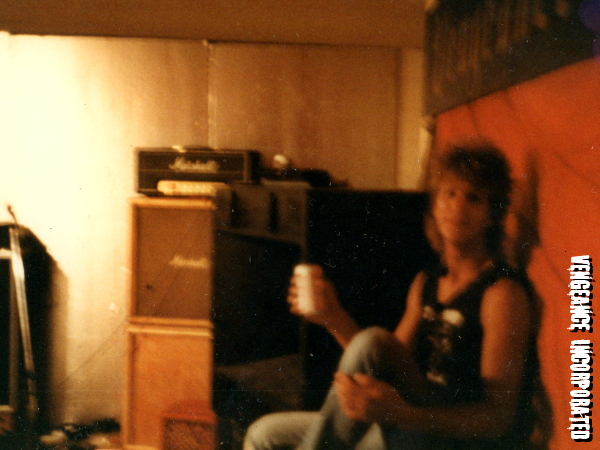 Most of these photos are from rehearsal sessions and goofing around in the studio, sometimes for the sole purpose of taking some goofy rehearsal photos. 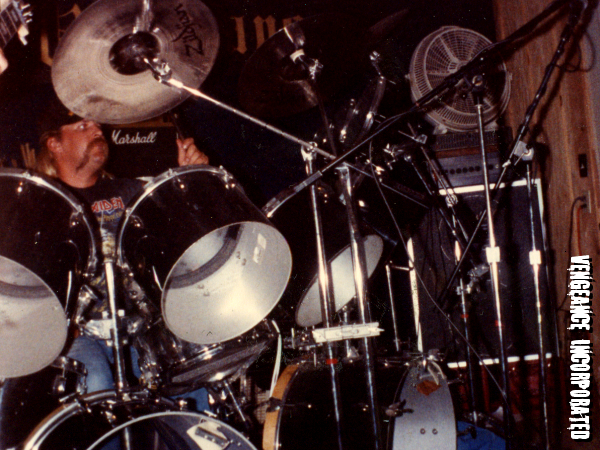 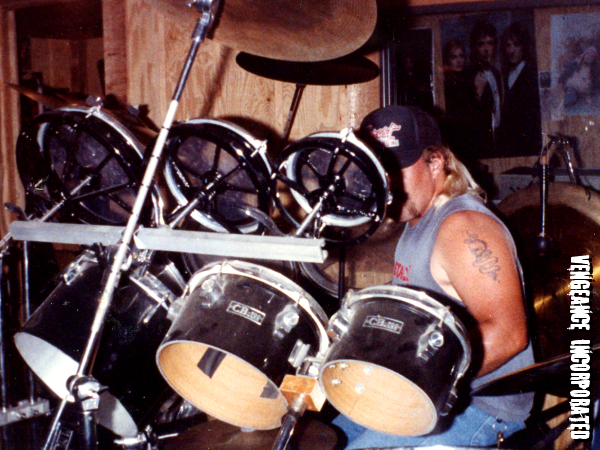 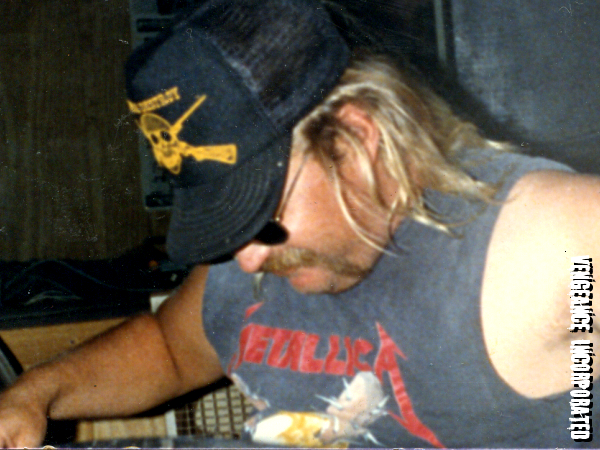 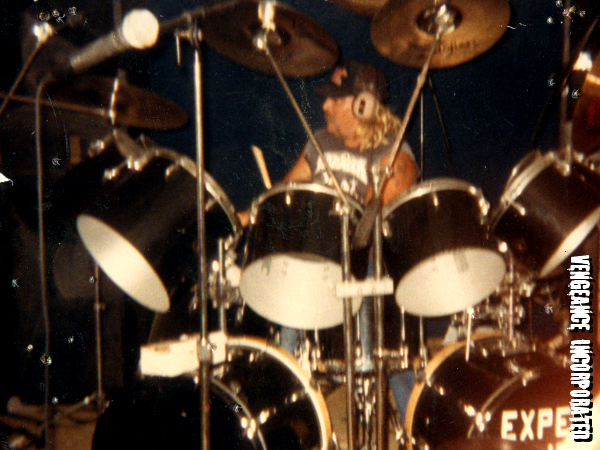 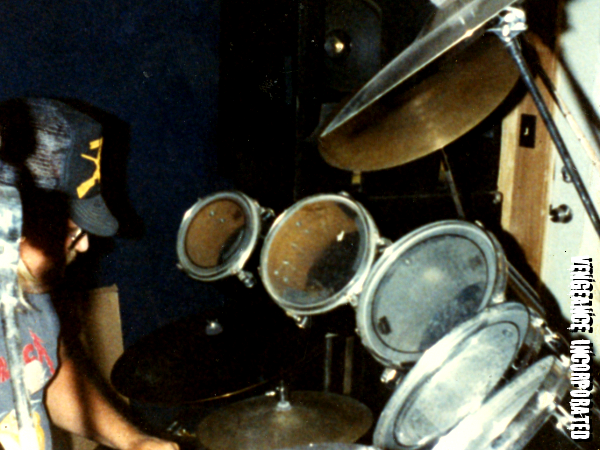 There are also some of Chuck laying down drum tracks in the studio, mostly for the band’s Queen project. 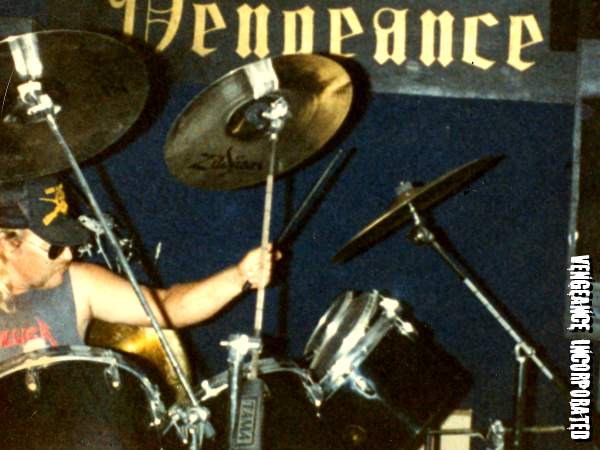 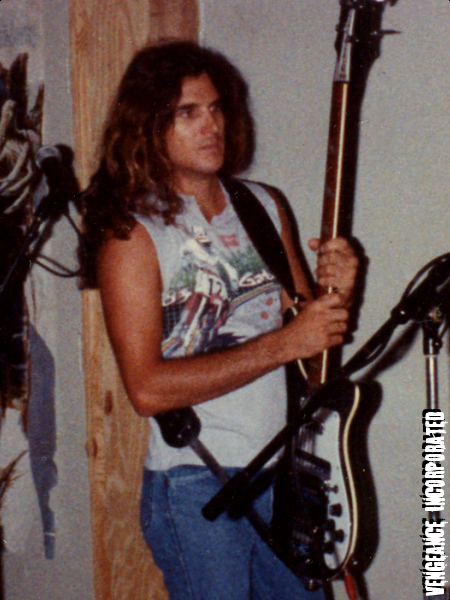 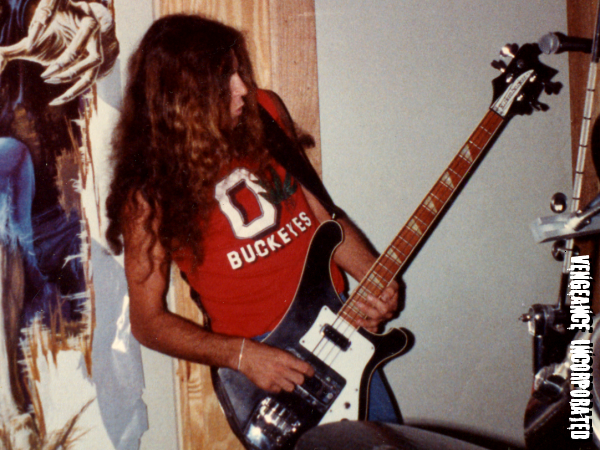 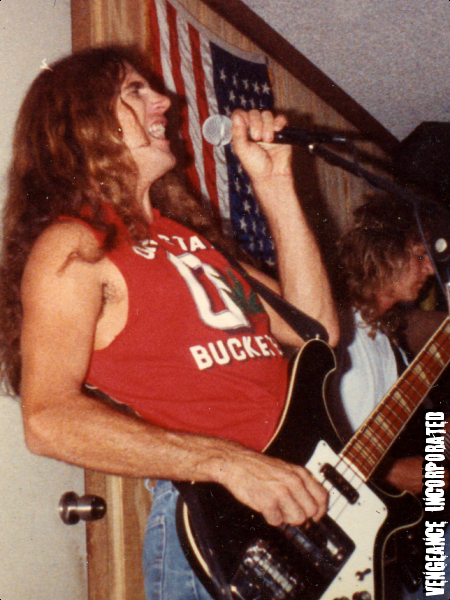 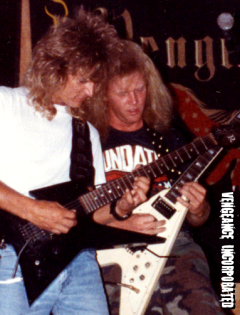 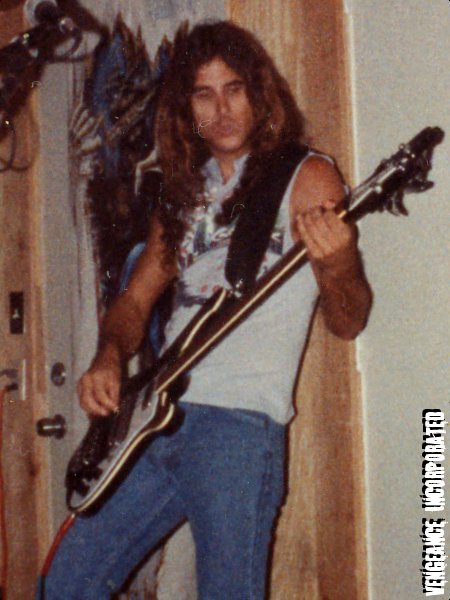 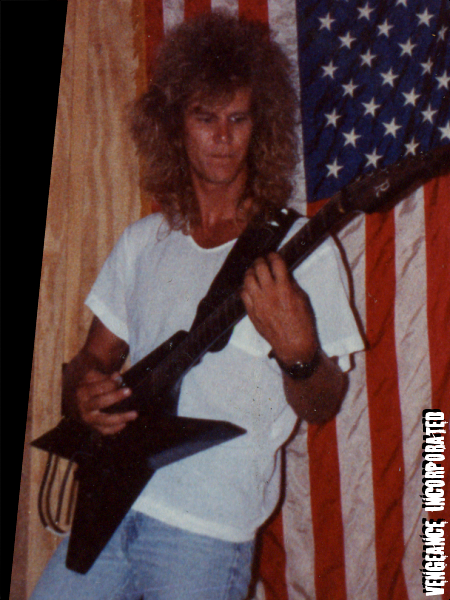 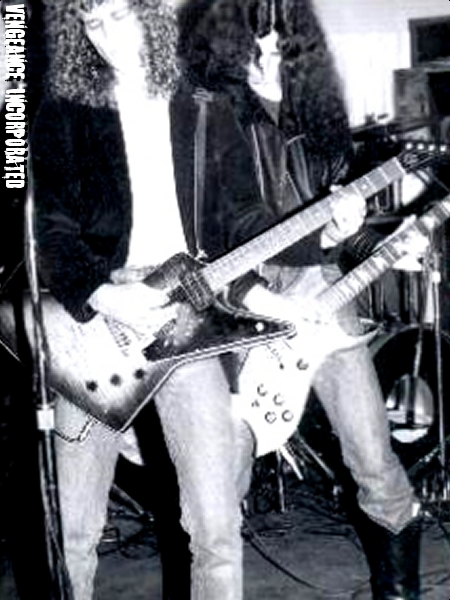 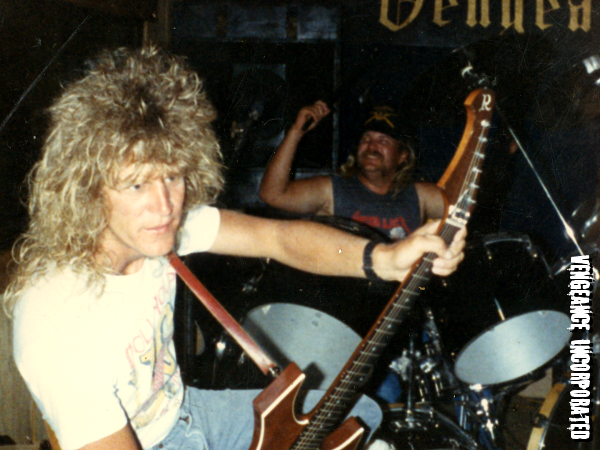 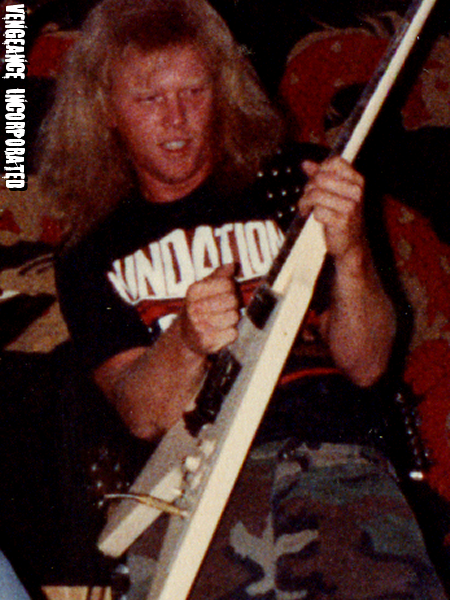 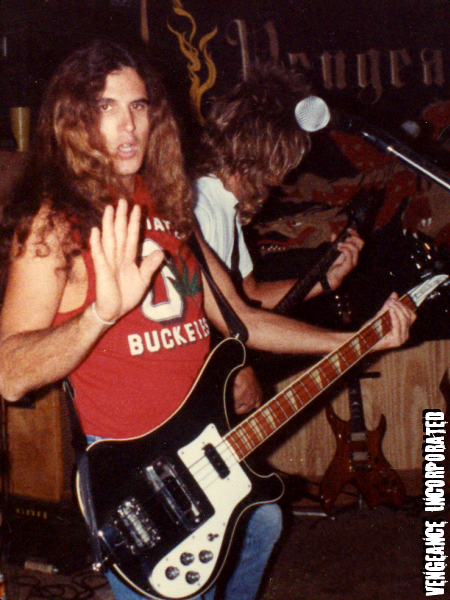 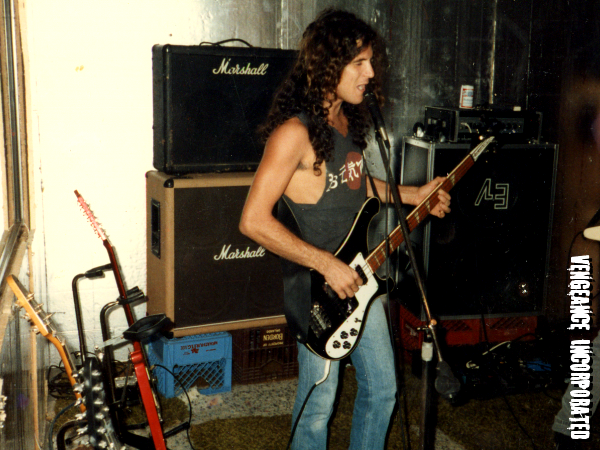 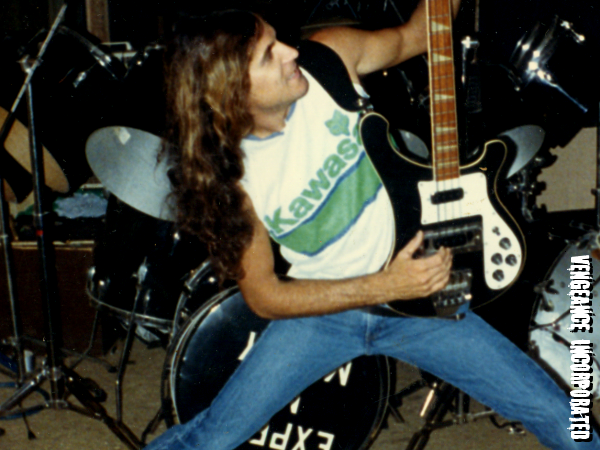 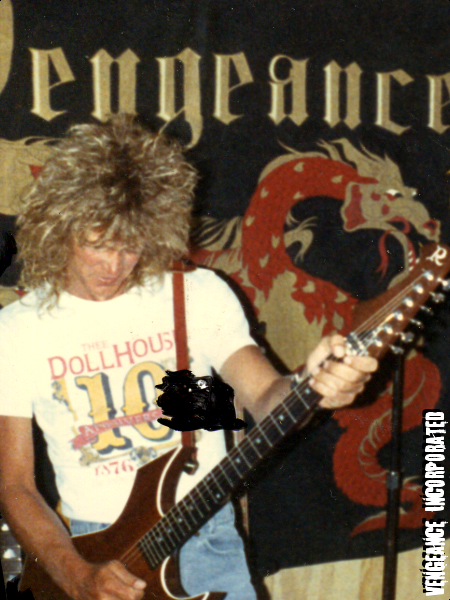 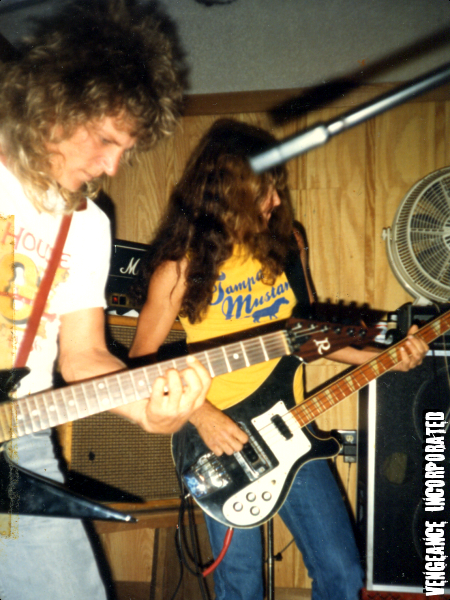 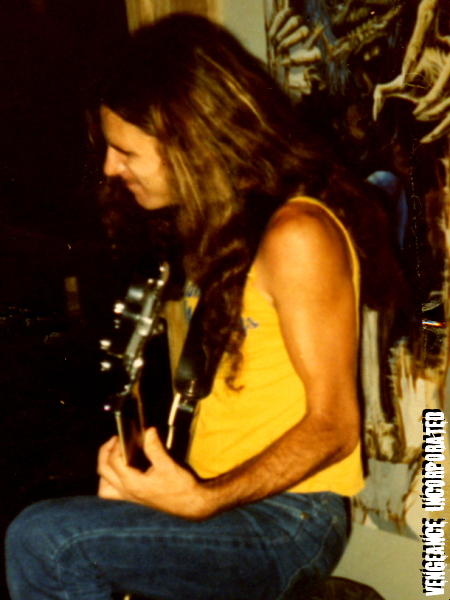 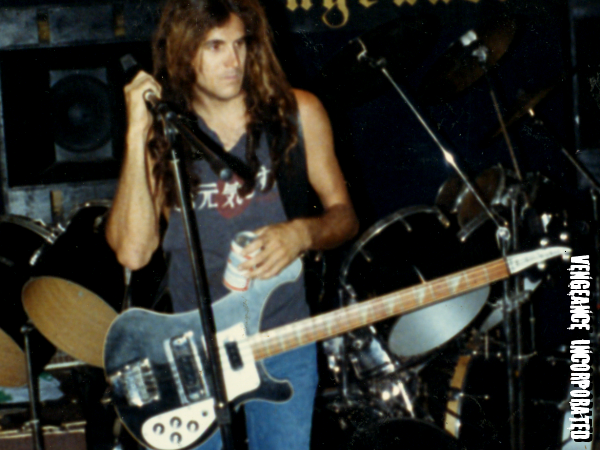 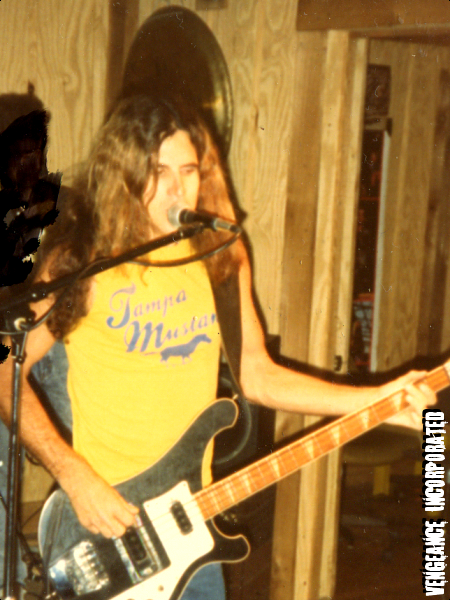 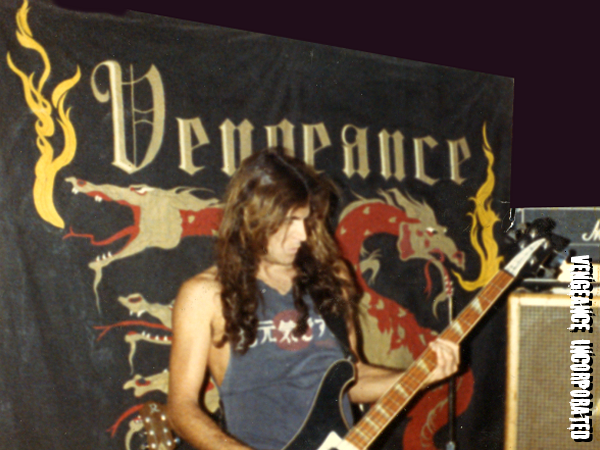 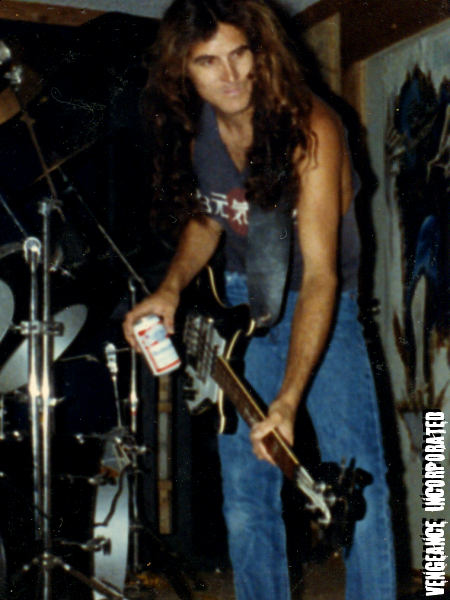 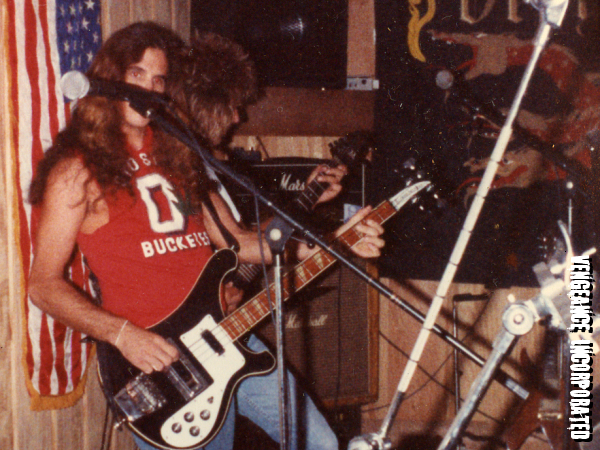 Many of these include Guy playing his old Rickenbacher bass, before he bought the custom B.C. 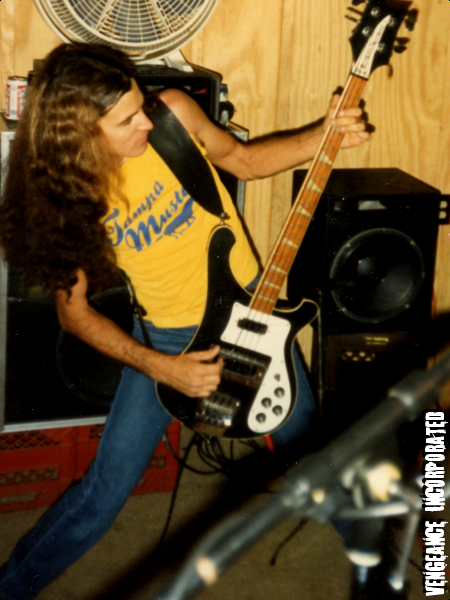 Rich Mockingbird bass he used from Malicious Intent on, touring and in the studio.